Advertiser.ie - Is Noel Grealish in danger of losing his seat? Galway West Independent TD Noel Grealish. Come the next General Election, could Noel Grealish be in danger of losing his seat? The answer is yes, but ONLY if Fianna Fáil gets its act together and learns a valuable lesson from the 'auld enemy' - Fine Gael. Dep Grealish was first elected to Dáil Éireann in 2002 as a member of the Progressive Democrats. His entry into the race was dramatic, having to replace Bobby Molloy who resigned from politics that year. There was further drama as he beat Fianna Fáil's Margaret Cox, taking the final seat, after 15 counts, but without reaching the quota. The 2007 and 2011 elections saw Dep Grealish retain his seat - the latter saw him run as an Independent after the PDs were dissolved in 2009 - but on both occasions he was again returned without having reached the quota. Come the 2016 election, with a wave of public support behind Independents, Dep Grealish received the second highest vote in Galway West (at 11.2 per cent - an increase of more than one per cent on his 2007 and 2011 outings ) and was elected on the 13th count, surpassing the quota by 361 votes. Dep Grealish would, on the surface, look set to hold on to that seat, but as Insider has pointed out in recent weeks, the latest opinion polls indicate that, contrary to perceived wisdom, the three Galway constituencies may be far from predictable next time out. Obviously polls are a snapshot in time, and the possible changes we may see to Galway West could be less dramatic than what may unfold in Galway East and Roscommon-Galway, yet, there is a chance the constituency could produce an upset. While polls can, and will, vary over time, one trend is clear - support for Independents has declined. The January polls taken by The Irish Times-Ipsos MRBI, the Sunday Times, and Sunday Business Post-Red C, show Independents as 12/13 per cent across the State, well down on 2016 levels. According to the constituency support estimates in The Irish Times-Ipsos MRBI poll, Independent support in Galway West is above average at 19 per cent. However, with support between 12 and 19 per cent, Galway West, which currently has two Independent TDs - Catherine Connolly and Noel Grealish - looks set to return only one at the next General Election, as the quota in a five seater is 16.67 per cent. Insider considers Dep Connolly to be in a strong position to retain her seat. She has a Michael D ability to draw transfers from across the broad Left - something few others on that spectrum can achieve; she draws support in Connemara as well as the city; and has been one of the most impressive TDs in the Dáil, while retaining a strong work ethic on the ground locally. While she will be concerned at the fall in support for Independents, she has the advantage of being the dominant Left figure in Galway. Another advantage is that her former party, Labour, is still in the doldrums, and despite an excellent candidate in Niall McNelis, the party can hope for little more than to increase its dismal five per cent share of 2016. Labour also haemorrhaged support to the Soc Dems' Niall Ó Tuathail in 2016 - a situation that looks unlikely to change. These two battling it out opens the way for Dep Connolly, who will get transfers from both - the Soc Dems particularly. In 2016, Dep Connolly's combined vote went from 7,138 to 8,877 after Mr Ó Tuathail was eliminated. Dep Connolly is also blessed by the fact Sinn Féin has been weakened locally by divisions and resignations - meaning Cllr Mairead Farrell (who would be a natural successor to Dep Connolly ) will have to put in a few more general election runs before becoming the first SF TD elected in Galway since the 1920s. Also, if Trevor Ó Clochartaigh decides not to run, his vote is likely to split among Ó Cuív, Connolly, and Farrell - another source of transfers for the Independent Left TD. As such, Dep Connolly, appears to be on firm ground from which to mount the defence of her seat. So what about Dep Grealish? Polls show voters swinging away from Independents and towards Fine Gael. So, if you are a Left voter, and still want an Independent, you will stick with Dep Connolly. If you are centre or right-wing, might you be tempted away from Dep Grealish and towards Dep Hildegarde Naughton? A swing to Fine Gael? Time was Dep Naughton was seen as very vulnerable to losing her seat, but no one is writing her off anymore. Indeed she would appear on course to both strengthen her vote and be returned to the Dáil. Given FG is particularly strong in urban and suburban middle class areas, Dep Naughton looks a likely beneficiary. It will allow her poll well in the city, but in Oranmore also, where she has strong roots. The urban and suburban middle class regions are where FF and Independents are weakest. Also, as the Sunday Independent pointed out recently, there appears to be a trend of traditional FF voters, who sat on the sidelines in 2016, and went with Independents rather than return to FF, starting now to look towards FG. This could be relevant in Galway West. 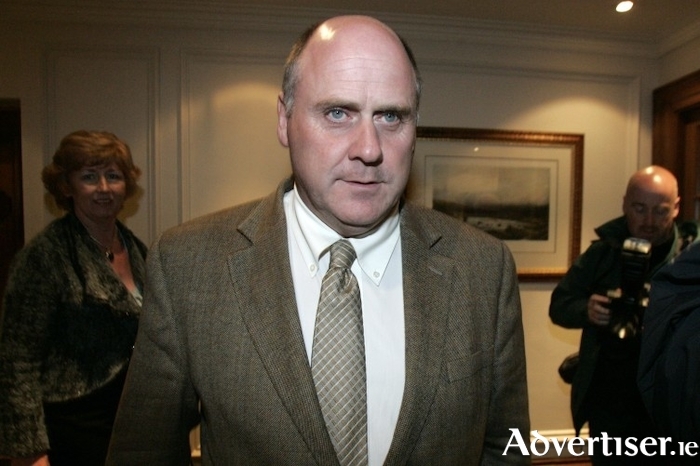 It will not affect Minister Kyne, who has shown in the last two elections that he can comfortably hold his own against Fianna Fáil's Éamon Ó Cuív in Connemara, but it will be a boost to Dep Naughten, who is coming from a lower base in a more congested part of the constituency. Yet, despite the Oranmore region being clogged with candidates on previous occasions, Dep Grealish has always managed to pull through, and FG looks set to hold onto its two seats regardless - it does not need to knock out the Carnmore man to retain them. Also, Dep Grealish's vote tends to come from the FF ‘gene pool’, so a strong FG may perhaps not worry him unduly. Can Fianna Fáíl do vote sharing? As it stands, Fianna Fáil's Éamon Ó Cuív, FG's Kyne and Naughton, and Dep Connolly look to be on course to keep their seats. Dep Grealish is only vulnerable if FF put in a strong challenge and operate a disciplined voting pact between its candidates - something at which the party is notoriously bad. FF generally runs three in Galway West - Ó Cuív in Connemara, a city candidate, and a broadly 'Oranmore area' candidate. Cllr Peter Keane is determined to be the city candidate, and has been canvassing hard to get his name out there. There is speculation that the party is interested in Sen Pádraig Ó Céidigh, while Cllr Martina Kinnane from Clarinbridge is also being mentioned as a possiblity. In 2016, at 24.2 per cent FF was the largest party by vote share, edging ahead of FG on 24 per cent. Yet the Blueshirts took two seats and FF only one. This is because FG's candidates ran a disciplined vote strategy which saw Kyne take 9.5 per cent, with Naughton and John O'Mahoney around seven per cent each, the last's transfers seeing Dep Naughton home. By contrast, Dep Ó Cuív took a mammoth 14.8 per cent of FF support leaving John Connolly and Mary Hoade with the scraps of six per cent and 3.4 per cent respectively. This had the effect of rendering them with bases too low from which to be able to challenge for the final seat. If Dep Ó Cuív can be reined in, and forced to split his vote more evenly with his running mates, this should leave the second FF candidate with a shot at dislodging Dep Grealish. Geographically, it is difficult to see Cllr Keane managing this, but easier to see Sen Ó Céidigh achieving this Herculean feat. FF has the numbers and support in its favour. The question is, is the party willing to learn from the FG experience, and will it have the ability to implement such a system? If FF wants that second seat, it must.